Malaria is a threat in certain parts of Africa and PRECAUTIONS MUST BE TAKEN to prevent contracting the disese when travelling in these areas. Southern portion of Zimbabwe and Mozambique. Kruger National Park. Northern section of KwaZulu Natal. Northern and eastern parts of Limpopo. Eastern parts of Mpumalanga. High Risk Months: September to May. This information has been provided by certified authorities and will make your visit to Africa a safe and rewarding one. It is a well-known fact that malaria is one of the most serious and common tropical diseases in the world. However, there is no reason why this should deter you from coming to Africa if the necessary precautions are taken. Please note that if precautions are not taken and/or if Malaria is not diagnosed and treated early, it could be potentially fatal. Before travelling to Africa, please consult your doctor or a local Travel Clinic regarding the correct medication to take. You should do this even if you have travelled to Africa before, as medications can change, and new pharmacological developments are happening all the time. This apart from the mosquitoes developing resistance to drugs over time. It is important to note that no preventative measures are 100% effective. Should flu-like symptoms and signs such as body pain, headache and fever develop 7 to 20 days or longer after visiting an endemic area, please consult a medical professional. *Wear long-sleeved shirts, and long trousers towards evening. Socks and closed shoes are also recommended. Mosquitoes tend to be active in the early evening. *Apply insect repellents to exposed skin areas every 4-6 hours. *Burn insecticide oils or electrically heated insecticide tablets in the bedroom at night. *Screened mosquito proof windows and doors and Mosquito nets guard against Mosquito bites. As the names of medication vary from country to country, we suggest contacting your local Travel Clinic. Malaria during Pregnancy, Infants, Small Children and Other Special Cases. Travel to Malaria areas is not recommended during pregnancy. 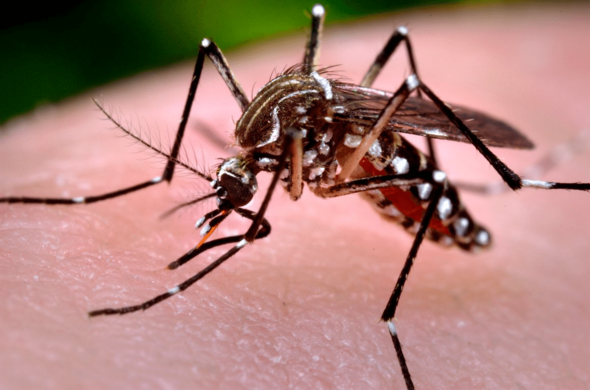 Because Malaria has a faster and harsher effect in infants and young children, extra care should be taken to prevent Mosquito bites. It is important to take the medication as instructed, which usually includes several weeks after leaving a malarial area. Should you be undergoing medical treatment of any sort, please consult a medical professional prior to taking Malaria prophylactics. In the 1950s Albert Schweitzer stated that by the year 2000 Malaria would be part of history. The statistics today show 400 million new cases are reported each year. Malaria is still the largest single killer in Africa and worldwide it is estimated that up to 3 million deaths occur per annum. Infants, young children and pregnant women are the most affected. Malaria occurs in most of sub-Saharan Africa and many parts of Asia and the Americas. Malaria is transmitted through the bite of the female anopheles mosquito. The males do not transmit the disease as they feed only on plant juices. The parasite develops in the gut of the mosquito and is passed on in the saliva of an infected insect each time it takes a new blood meal. The parasites are then carried by the blood in the victim's liver where they invade the cells and multiply: it is difficult to diagnose as it presents with influenza-like symptoms: fever, chills, muscle aches, headaches and sometimes vomiting, diarrhoea and coughing.Only the Plasmodium Falciparum Malaria strain is potentially life-threatening. All cases of Falciparum Malaria must be treated as soon as possible to prevent damage to the organs, the development of cerebral Malaria or ultimately, death. Like all other mosquitos, the anophelines breed in water, each species having its preferred breeding grounds, feeding patterns and resting place. Their sensitivity to insecticides is also highly variable. No anti-malarial medication is 100% effective in preventing the disease. However, if Malaria is contracted whilst taking anti-malarial medication, the severity of the malarial infection is generally milder than in those where the drugs have not been administered. N.B. If you are travelling to a Malaria area, you should discuss your travel plans with travel health professionals i.e. travel clinics - WELL IN ADVANCE of your departure in order to obtain the most appropriate anti-malarial medication, and have the required lead time to commence using your anti-malarial.